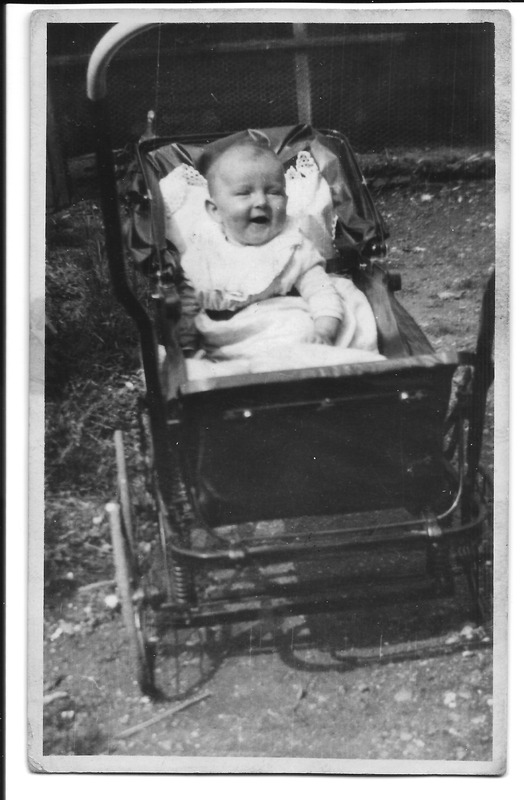 Enid May Howells (my mother) was born on the 8th of March 1927 and died on November the 13th 2000. It was difficult to trace her family tree, although as things turned out once I started, the whole tree blossomed and grew on its’ own! This was because it was already there, just waiting for me to go looking and find it. The initial difficulty was due to Enid being adopted, and the fact that her name was completely changed at that time. Also her birth name on the birth certificate is exactly the same name as her birth mother and this really doesn’t help when you go ‘searching’ on genealogy and ancestry websites. The facility for attaching records to someone in your family tree is something you need to concentrate very hard on to make sure you’ve got the right person. These are the earliest photographs I have of Enid. It’s probably easier to call her Enid May Dinnis, the name she took when she married Gordon in 1949. I grew up thinking she was born Enid May Howells. On her death I found her birth certificate and was surprised to see her name was registered as May Annie Doris Cockett. Her mother was also called May Annie Doris Cockett, although I knew her as ‘Queenie’. It interests me because I have always thought one’s name to be very important. It’s ‘who you are’ and what you are called and who you are known by. From Enids’ birth certificate we can see she was born in Wanstead, Essex and her mother lived in Walthamstow. There is a line scored through the place where her father’s name and profession should be. Sometime soon after her birth she was taken in by the Howells family on the south coast. Enid grew up in Shoreham-by-Sea, West Sussex with Mr and Mrs Howells, and various step brothers and sisters. When she was telling stories of her childhood she thought of the Howells family as her own and although she saw her birth mother now and then I believe she always found it hard to come to terms with being ‘given up’. The photographs show her looking very happy and contended as a small child. 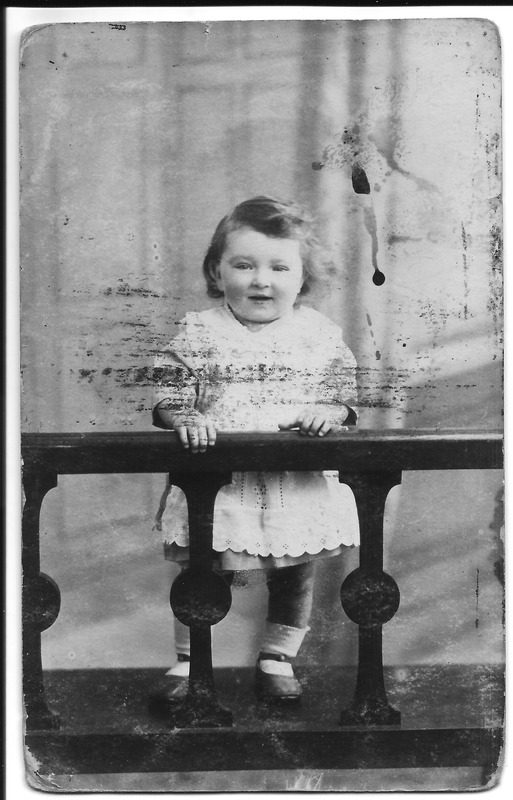 This entry was posted in Enid May Howells and tagged Family History. Bookmark the permalink.